There are few things more relaxing and inviting than tying your sauce-stained apron around your waist, pulling out your plethora of spices, rubs, and BBQ sauces, and throwing some fresh burgers and steaks on the grill with your buddies. So, why not be the envy of the neighborhood? Sunshine Fuels now has a division dedicated to grills and patio products for all of our customers throughout Rhode Island. These top-of-the-line grills are not only built to last, but they have superior temperature control and distribution so that whatever you may be grilling comes out perfect every time. No more overdone spots. 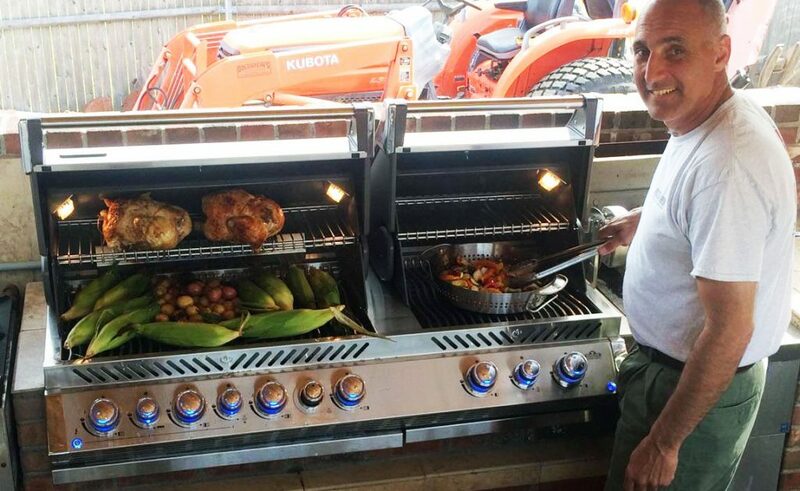 What could be better than an uncompromised grill and his grill master? How about free delivery and assembly by the experts at Sunshine? We will bring your brand new grill straight to your door, completely assemble it, and get you grillin’ in no time. Don’t forget to check out our grilling accessories to accompany your new masterpiece. We also sell and install entire outdoor kitchens, for those of you who really want to take it to the next level. Have any more questions about Sunshine and our grill selection? We would love to hear from you. Please contact us and we will get back to you as soon as possible.